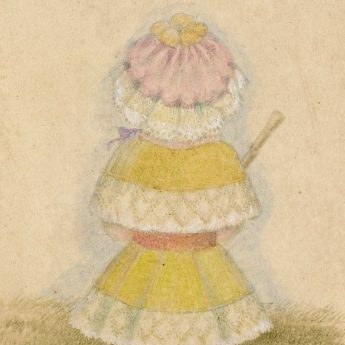 This cute miniature portrait shows a little girl carrying a baton and dressed in a yellow and white coat with a shawl collar and pink belt worn with a pink lace-trimmed cap. 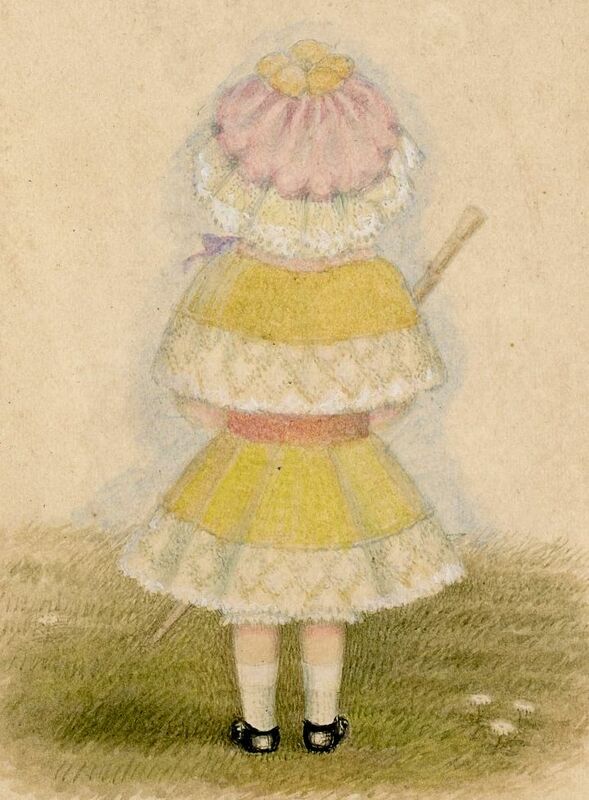 The painting is one of two listed portraits that are attributed to Mrs Young who reputedly “couldn’t paint faces”! 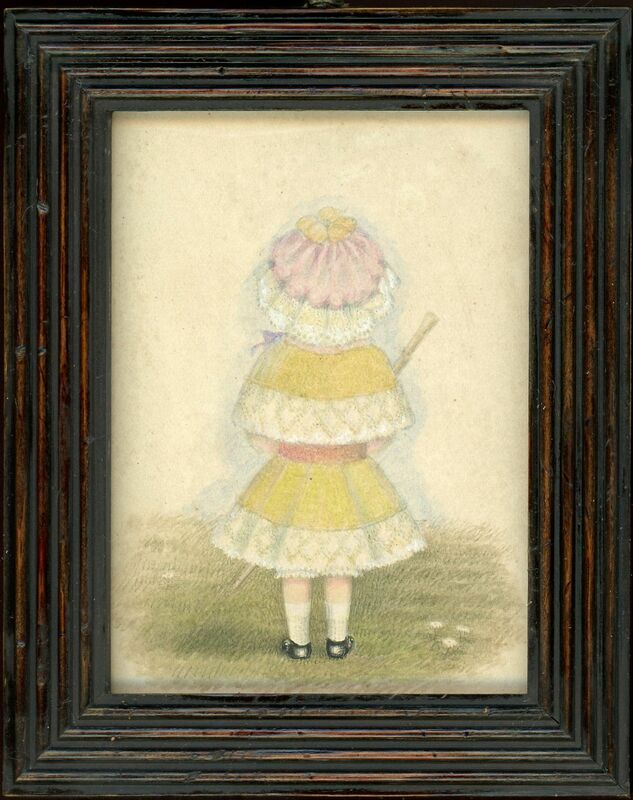 The watercolour is housed in a period reeded frame.